Tiger is the epitome of strength and bravery. The beautiful cat is the ruler of the jungle and doesn’t allow anybody to sniff away from her attitude. 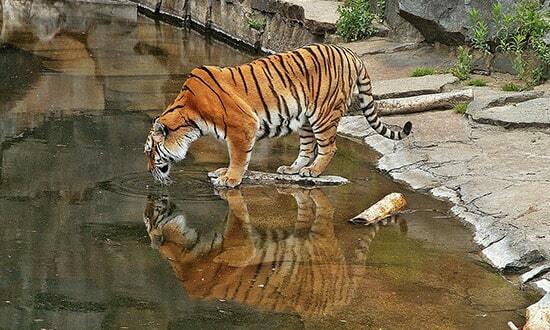 The Bengal tiger is the most popular species, mainly found in India. Tigers are associated with many proud and religious movements in India. 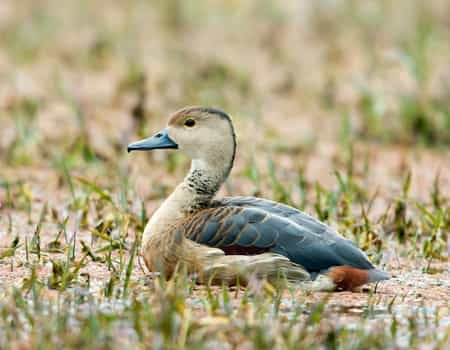 Explore scenic beauty inhabited by rare and migrated birds away from the chaotic feel of old Delhi. Spot the gregarious Striped wild beast tiger in the beautiful and natural landscape of the princely and tropical India that dotes upon this epitome of Strength, power and King of the Jungle. 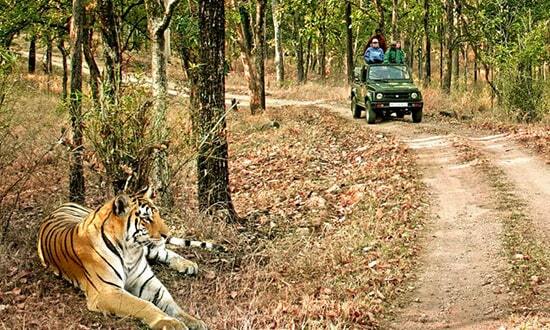 Have the most adventurous and thrilling experience in the most natural and serene Tiger Reserve of India. India has 51 Tiger Reserves, preserving 3890 (70% of World’s Tiger Population). 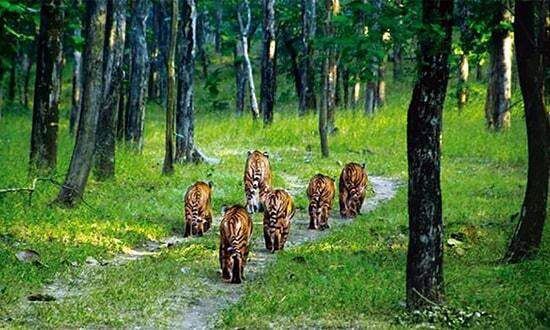 Every Tiger reserve from top 10 list witness around 1 lakh to 2 lakh visitors annually. 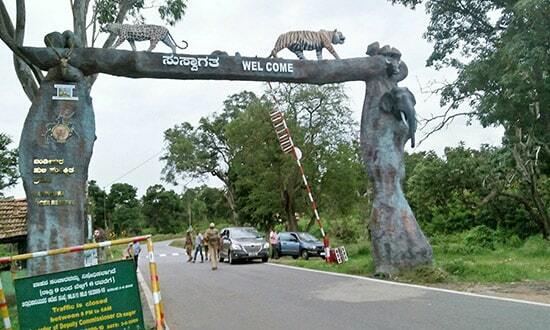 Karnataka has highest 408 number of tiger preserve in their national park and reserve. 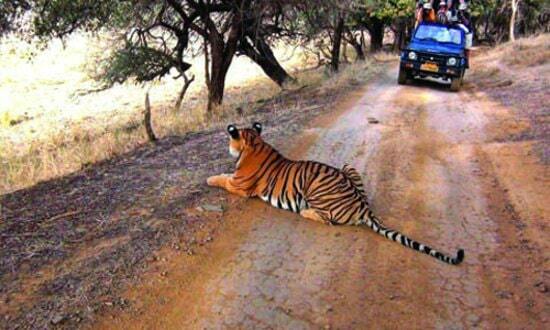 The Ranthambore National Park is the popular tiger safari destination bordered by Aravali ranges in the Rajasthan. The place is famous for its picturesque beauty beneath the hills and lavish and bountiful stay in some beautiful architectural heritage properties. Hemis National Park is in the eastern part of Ladakh of J&K region. 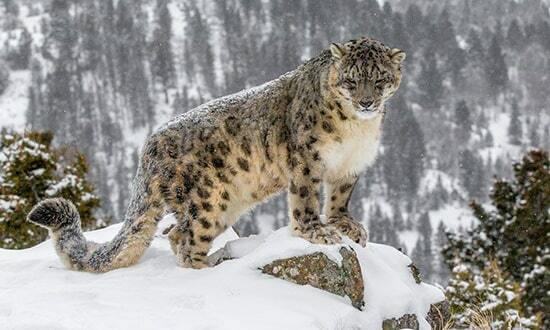 This is a small national park having a high density of globally renowned snow Leopards. This place will give you an adventurous and soul fetching a thrilling experience with many other activities happening there. Jim Corbett, National park is situated in forested land of Uttarakhand. The place has rich fauna and is the best place to visit at any time of the month. The tigers, lions, elephants can be seen in the most natural way in your trip here. The rivers give a serene view to be cherished for a lifetime. 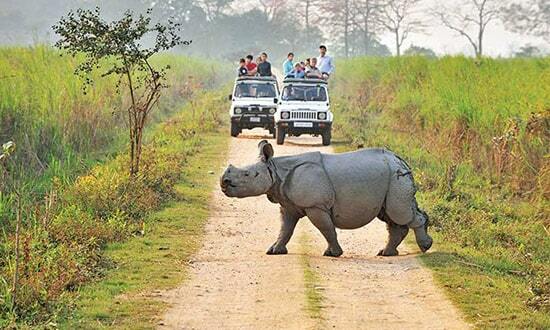 Kaziranga National Park is a world heritage site declared by UNESCO in Kanchanjuri Assam. The forest, wetlands, vegetation is appropriate to breed much wildlife including the exclusive species of single-horned Rhino. The weather, the food and the place to stay make it an ideal place to visit with family in any season. 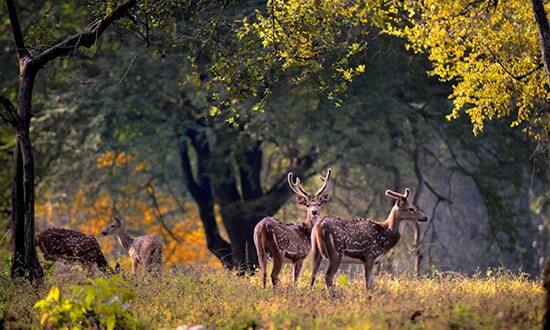 Kanha National Park is in Madhya Pradesh elevated plateau Bamhnidadar. The grassland, the tall trees, the water reservoirs are the perfect place to reserve, the wildlife in the most authentic manner. The Barasingha is the jewel of Kanha National Park and more can be read and found about it in the museum totally dedicated to wildlife. In the month of May, the dry forest makes it comfortable to see these animals on rusty land, but after monsoon the weather becomes pleasant but dense vegetation makes it hard to watch this wildlife and birds in the forest. 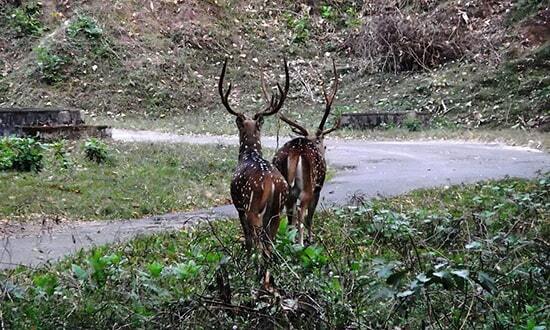 Bandipur National Park was the hunting ground for Mysore royals for many years in Karnataka. It is now the land for lion, Tiger, Antelopes, Elephant, Bison to wander and breed in their natural habitat. The resort here can give you the natural view of the forest from your windows, making it a memorable trip for lifelong. 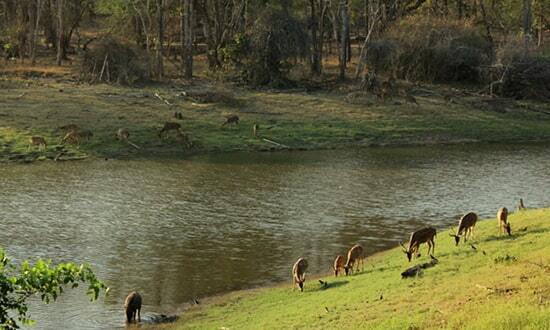 Nagarhole National Park is the other side of the Bandipur National Park separated by Kabini rivers. The teak and sandalwood tree aroma is spread throughout the Brahmagiri mountains. The waterfalls, rivers around the park make the park famous for various activities like hiking and river rafting. The place is the perfect destination for a thrilling experience. A beautiful forest located at Anaimalai Hills of Pollachi and Valparai is an exotic home for endangered Bengal Tiger, Indian elephant Indian leopard, and many more species. The major attraction is the Topslip area a downhill terrain popular for trekking, morning walk and amazing view from mountains. The Rudyard Kipling famous writing Jungle book got its inspiration from this jungle which he never visited but, got just inspired by the stories and another part of India, he has visited. The 1000 km stretch of dense forest on the border of Maharashtra and Madhya Pradesh is home for many species of flora and fauna and is also a beautiful holiday spot to spend on the banks of river Pench. The hunting ground located near to altar is the first reserve in the world to relocate the extinction tiger in the natural habitat. 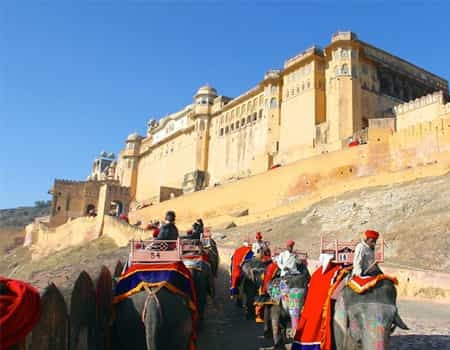 The reserve is over near to Delhi, Jaipur and Agra making it perfect stop O. your Golden triangle tour to India. The popular weekend getaway spot for locals for its scenic beauty and comfortable stay. 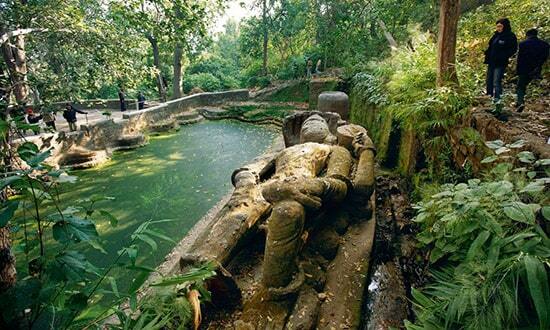 One of the oldest Tiger reserves in Maharashtra is a mythological land for Indians. The densely forested hills make a picturesque boundary of the deep valley extended in meadows and lakes in the plain land area. The cliffs, caves, and talus are a refuge for many wild animals sheltered in rich and natural habitat. The adventure streak in humans shouts out for Tiger safari to explore the impetuous wildlife in their natural habitat. The urge of fleeing away from city chaos to some serene natural escape to natural life intends to plan tiger safari. A perfect treat for all adventure seekers out there. Jungle Safaris and Elephant rides enhance the lavishness of the trip. Jaipur and Delhi trip to provide you a chance of shopping of all local stuff, yes you want it. 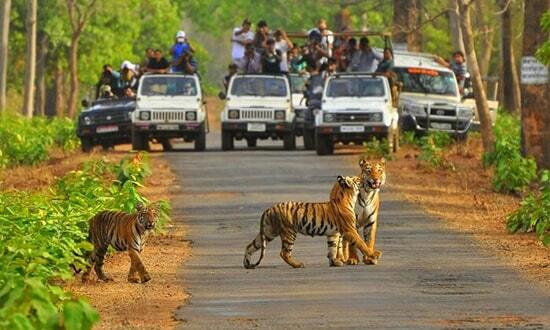 Have a view of the beauty of the rare spices of birds and the brave Indian tiger. An extra ordinary Taj and other monuments speak history. Historic Forts and Palaces – extravaganza to this tour. A hub of its own kind and the political, cultural & heritage capital of India, Delhi is an integral part of every voyager’s trip to India. This city lies at the deep core of every event/process that has an effect on the functioning of the country. 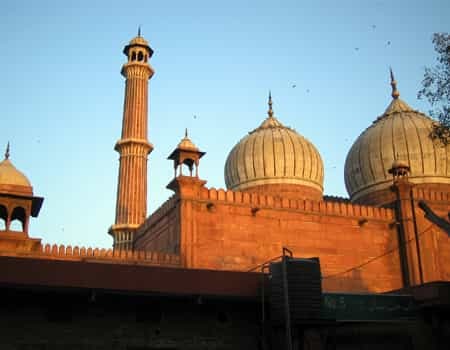 From the shopping markets of Chandni Chowk, Delhi Haat & Lajpat nagar to the marvels of Red fort, Qutub Minar & Jama Masjid (Mosque), this glorious city is the perfect epitome of architectural & cultural delicacy. Lying on the banks of the legendary river Yamuna, situated 225 miles west of the state capital, Agra is the proud holder of the 7th wonder of this world, The astounding Taj Mahal. This four pillar structure is an engineering & architectural marble created in the mughal era by Shah Jahan to bury the sacred remains of his wife Mumtaz Mahal. 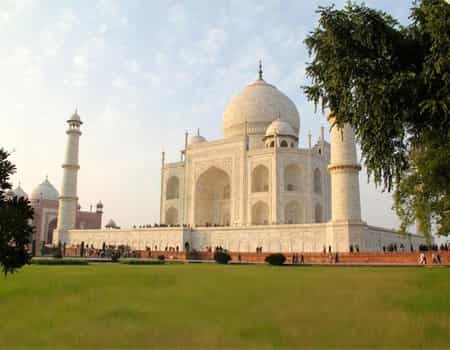 Agra also offers you the chance to visit Baby Taj (Itmad-ud-Daula), pay a visit to the Agra fort & take a walk in the quiet of the gardens surrounding the Taj. 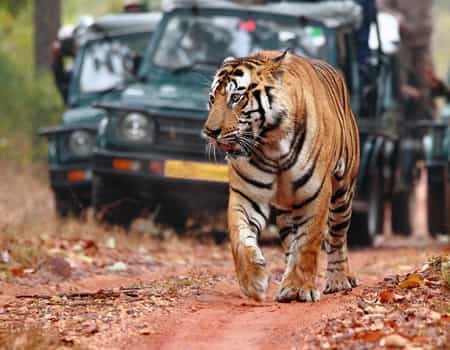 Home to above 60 tigers & a wide range of other wild animals including the hyena, crocodiles, bears etc, Ranthambhore is one of north India’s largest wildlife sanctuaries located in Sawai Madhopur district of Rajasthan 160 km southeast of Jaipur. This large forest reserve consists not only of wildlife and the dense forests but also give way to the gorgeous Ranthambhore fort in the hills above plains which also houses a Ganesh Temple. Various safaris run from early morning searching for tigers in Ranthambhore. Treat yourself to some of the traditional Rajasthani delicacies (especially Dal Baati with churma) in the local restaurants of Jaipur after a go through of the prepossessing forts & monuments of Jaipur (especially the Amber Fort & Nahargarh Fort overlooking the entire pink city from the top of the hills) followed by some endless shopping in the old city of Jaipur. This desert capital offers unlimited options to everyone in terms of interests & activities. Located barely 100 kms from Jaipur and another 100 from Delhi, Sariska is a beautiful town housing the dazzling Sariska tiger reserve set up in 1955 as a wildlife sanctuary and acknowledged as a part of the project tiger in 1978. 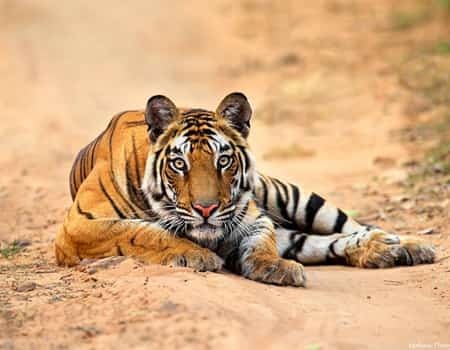 The most attractive part of this tiger reserve being the Bengal tiger, you may also come across other species of wild animals like leopard, jungle cat, sambhar, chital & the golden jackal. Sariska is also famous for the sariska palace and nearby destinations. The endless reasons to visit Delhi. 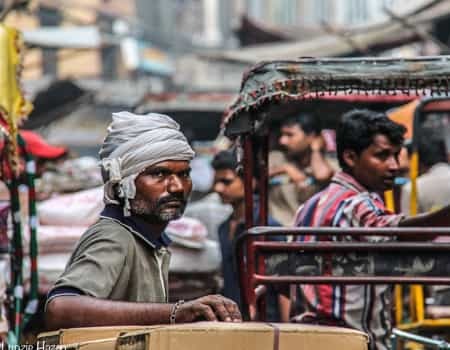 There will always be enough scope of exploration and journey in India’s capital, Delhi every time you visit this town. The reason behind such a fact lies in the diversity of activities, cultures, religious activities, scenic monuments, forts, palaces, cuisines, food, areas, shopping markets, musical festivals etc. The list is endless and so is this city. But it is a treat to discover and rediscover the surprises that Delhi has to offer. Our India Tour packages score an average of 4.4 out of 5 based on 115 reviews in the last year. I have traveled many countries before visiting to India this experience was completely new to me. I choose this tour as my husband is a wildlife lover and love to take pictures. This exceptional holiday has delivered us a complete chance to encounter the jungle species in the habitat. We guys enjoy the tour to its fullest and had many picture to share with you soon. 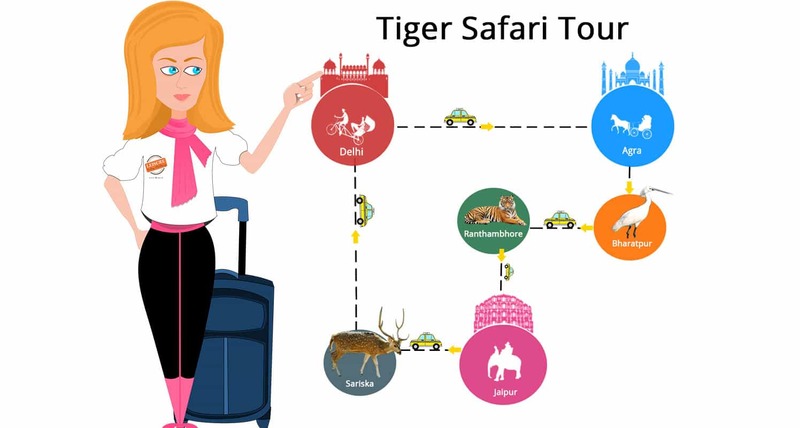 It was too easy to reserve a tour package with you and you were very efficient and prompt with designing our requirements via quick response through your emails. After the arrival at Delhi airport we have never be in worries of when to start our day, what to do and where to have our meals. Our Driver Ratan has arranged all this so well for us. It was a really holiday without and worries as all things went soo well managed and smooth. Be the ruler of your trip: LIH expertise in providing the best-customized trips in a most comfortable and economical way, Choose your own stay, food, transportation among the unlimited choices and allow us to lead you to the most unforgettable experience. Enquire more from your Chaperon and allow us to be in your pack.